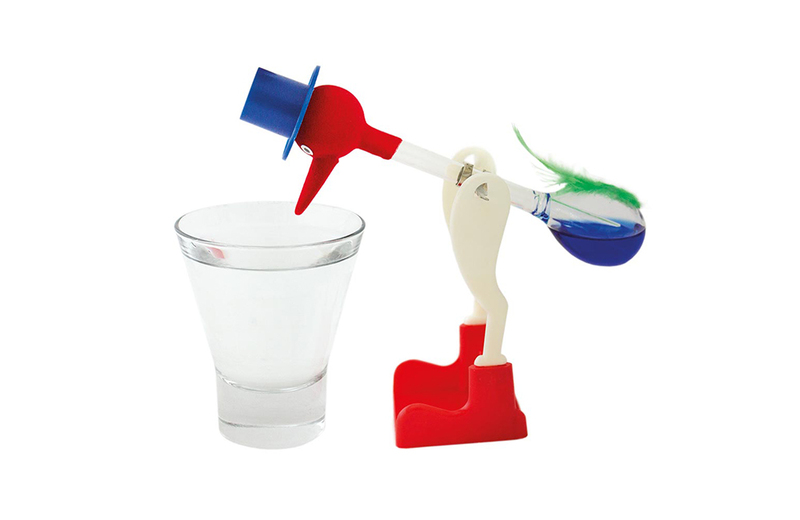 This video explains the engineering behind the Drinking Bird toy. Board game cheaters rejoice: Monopoly has made a version of the classic game just for you. Necessity is the mother of invention: read about the origins of the bendy straw. Your blurry pic of the Chupacabra could translate into cash from Capcom. Here’s a fascinating infographic highlighting what LEGO was doing the decade you were born. Vinyl-playing jukeboxes are making a comeback. Nuff said. We have a new game show to look forward to: the Atari renaissance continues with a Pong television game show. Let’s hope the new theme song is as catchy as the original: a female-fronted The Greatest American Hero pilot has been ordered at ABC. The Batman '66 figures you didn't know you needed and 7 other things we wanted to share with you this week.